Non-exhaustive list of state-of-the-art implementations related to visual recognition and search. There is no warranty for the source code links below – use them at your own risk! AGAST – Even faster than the FAST corner detector. A multi-scale version of this method is used for the BRISK descriptor (ECCV 2010). VGG Affine Covariant features – Oxford code for various affine covariant feature detectors and descriptors. LIOP descriptor – Source code for the Local Intensity order Pattern (LIOP) descriptor (ICCV 2011). Local Symmetry Features – Source code for matching of local symmetry features under large variations in lighting, age, and rendering style (CVPR 2012). VGG Feature Encoding Toolkit – Source code for various state-of-the-art feature encoding methods – including Standard hard encoding, Kernel codebook encoding, Locality-constrained linear encoding, and Fisher kernel encoding. EBLearn – C++ Library for Energy-Based Learning. It includes several demos and step-by-step instructions to train classifiers based on convolutional neural networks. Torch7 – Provides a matlab-like environment for state-of-the-art machine learning algorithms, including a fast implementation of convolutional neural networks. Deep Learning - Various links for deep learning software. Efficient Deformable Part-Based Detector – Branch-and-Bound implementation for a deformable part-based detector. Accelerated Deformable Part Model – Efficient implementation of a method that achieves the exact same performance of deformable part-based detectors but with significant acceleration (ECCV 2012). Coarse-to-Fine Deformable Part Model – Fast approach for deformable object detection (CVPR 2011). Poselets – C++ and Matlab versions for object detection based on poselets. Part-based Face Detector and Pose Estimation – Implementation of a unified approach for face detection, pose estimation, and landmark localization (CVPR 2012). Relative Attributes – Modified implementation of RankSVM to train Relative Attributes (ICCV 2011). Classemes, Picodes, and Meta-class features – Software for extracting high-level image descriptors (ECCV 2010, NIPS 2011, CVPR 2012). Additive Kernels – Source code for fast additive kernel SVM classifiers (PAMI 2013). LIBLINEAR – Library for large-scale linear SVM classification. VLFeat – Implementation for Pegasos SVM and Homogeneous Kernel map. FLANN – Library for performing fast approximate nearest neighbor. Kernelized LSH – Source code for Kernelized Locality-Sensitive Hashing (ICCV 2009). ITQ Binary codes – Code for generation of small binary codes using Iterative Quantization and other baselines such as Locality-Sensitive-Hashing (CVPR 2011). INRIA Image Retrieval – Efficient code for state-of-the-art large-scale image retrieval (CVPR 2011). See Part-based Models and Convolutional Nets above. Pedestrian Detection at 100fps – Very fast and accurate pedestrian detector (CVPR 2012). Caltech Pedestrian Detection Benchmark – Excellent resource for pedestrian detection, with various links for state-of-the-art implementations. OpenCV – Enhanced implementation of Viola&Jones real-time object detector, with trained models for face detection. Efficient Subwindow Search – Source code for branch-and-bound optimization for efficient object localization (CVPR 2008). Point-Cloud Library – Library for 3D image and point cloud processing. ActionBank – Source code for action recognition based on the ActionBank representation (CVPR 2012). Animals with Attributes – 30,475 images of 50 animals classes with 6 pre-extracted feature representations for each image. aYahoo and aPascal – Attribute annotations for images collected from Yahoo and Pascal VOC 2008. FaceTracer – 15,000 faces annotated with 10 attributes and fiducial points. PubFig – 58,797 face images of 200 people with 73 attribute classifier outputs. LFW – 13,233 face images of 5,749 people with 73 attribute classifier outputs. Human Attributes – 8,000 people with annotated attributes. Check also this link for another dataset of human attributes. SUN Attribute Database – Large-scale scene attribute database with a taxonomy of 102 attributes. ImageNet Attributes – Variety of attribute labels for the ImageNet dataset. Relative attributes – Data for OSR and a subset of PubFig datasets. Check also this link for the WhittleSearch data. Attribute Discovery Dataset – Images of shopping categories associated with textual descriptions. Caltech-UCSD Birds Dataset – Hundreds of bird categories with annotated parts and attributes. Stanford Dogs Dataset – 20,000 images of 120 breeds of dogs from around the world. Oxford-IIIT Pet Dataset – 37 category pet dataset with roughly 200 images for each class. Pixel level trimap segmentation is included. Leeds Butterfly Dataset – 832 images of 10 species of butterflies. Oxford Flower Dataset – Hundreds of flower categories. CMU/MIT – Classical face detection dataset. Face Recognition Homepage – Large collection of face recognition datasets. LFW – UMass unconstrained face recognition dataset (13,000+ face images). NIST Face Homepage – includes face recognition grand challenge (FRGC), vendor tests (FRVT) and others. CMU Multi-PIE – contains more than 750,000 images of 337 people, with 15 different views and 19 lighting conditions. FERET – Classical face recognition dataset. Deng Cai’s face dataset in Matlab Format – Easy to use if you want play with simple face datasets including Yale, ORL, PIE, and Extended Yale B.
SCFace – Low-resolution face dataset captured from surveillance cameras. MNIST – large dataset containing a training set of 60,000 examples, and a test set of 10,000 examples. Caltech Pedestrian Detection Benchmark – 10 hours of video taken from a vehicle,350K bounding boxes for about 2.3K unique pedestrians. INRIA Person Dataset – Currently one of the most popular pedestrian detection datasets. ETH Pedestrian Dataset – Urban dataset captured from a stereo rig mounted on a stroller. TUD-Brussels Pedestrian Dataset – Dataset with image pairs recorded in an crowded urban setting with an onboard camera. PASCAL Human Detection – One of 20 categories in PASCAL VOC detection challenges. USC Pedestrian Dataset – Small dataset captured from surveillance cameras. 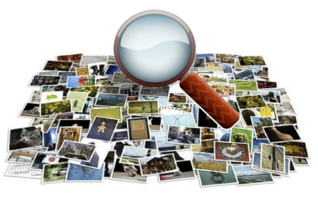 ImageNet – Currently the largest visual recognition dataset in terms of number of categories and images. Tiny Images – 80 million 32x32 low resolution images. Pascal VOC – One of the most influential visual recognition datasets. Caltech 101 / Caltech 256 – Popular image datasets containing 101 and 256 object categories, respectively. MIT LabelMe – Online annotation tool for building computer vision databases. MIT SUN Dataset – MIT scene understanding dataset. UIUC Fifteen Scene Categories – Dataset of 15 natural scene categories. VGG Affine Dataset – Widely used dataset for measuring performance of feature detection and description. Check VLBenchmarks for an evaluation framework. Benchmarking Activity Recognition – CVPR 2012 tutorial covering various datasets for action recognition. Visual Recognition - Kristen Grauman, U. Texas, Fall 2012. The Cutting Edge of Computer Vision - Fei-Fei Li, Stanford, Spring 2011. Learning-based Methods in Vision - Alyosha Efros and Leonid Sigal, CMU, Spring 2012. Grounding Object Recognition and Scene Understanding - Antonio Torralba, MIT, Fall 2011.